Dinosaur Comics - August 12th, 2015 - awesome fun times! –He ALSO stole from the rich and gave to the poor! 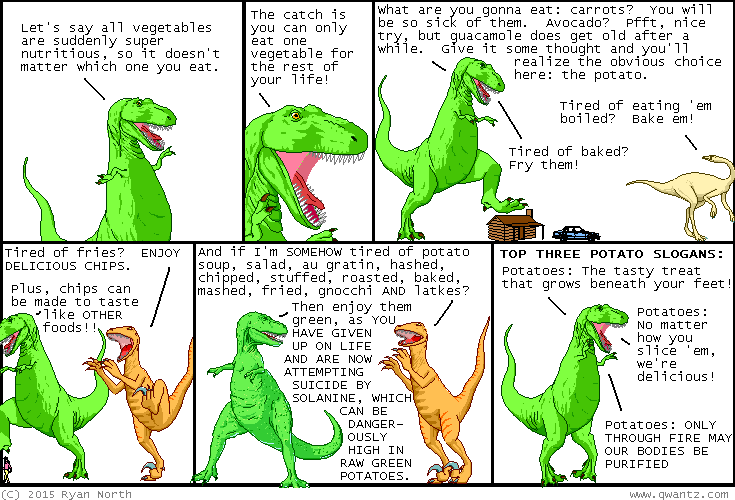 August 12th, 2015: There's a couple of ways to get the solanine out of a potato but to be honest it's probably easier just not to go around eating potatoes with solanine in them; this has been Ryan's How Not To Get Poisoned Advice Corner.